The US’ ABM sites in Europe and on warships patrolling Russia’s borders are creating the potential for America to launch an overwhelming surprise nuclear strike on Russia, the Russian general staff said. “The presence of American ABM sites in Europe and ABM-capable ships in the seas and oceans close to Russia’s territory creates a powerful clandestine potential for delivering a surprise nuclear missile strike against Russia,” Viktor Poznikhir, deputy head of operations of the Russian general staff, told a disarmament conference in Geneva. The Conference on Disarmament being held in Switzerland over five days this week is an international forum focusing on global security and the non-proliferation of weapons of mass destruction with the participation of 65 member states. The US’ global antiballistic missile system is provoking a new arms race, Russia’s top brass has warned, adding that the US system, which includes sites in Alaska, Romania, and Poland, compromises Russia’s nuclear deterrence capabilities. Russia estimates that by 2020 the US will have as many as 1,000 interceptor missiles at its disposal, which would be a threat to Russia’s missile capacity. “The presence of the global ABM system lowers the threshold for the use of nuclear weapons, because it gives the US the illusion of impunity for using strategic offensive weapons from under the protection of the ABM ‘umbrella,’” Poznikhir said. Poznikhir also said that the American system poses a risk to the peaceful use of space by other nations. He said the US is continuing to develop the system under a pretext of countering a perceived threat from North Korea and Iran, while ignoring Russia’s wider concerns. The US’ attempt to get an advantage over Russia and China is undermining the global security system, Russia’s top brass said. 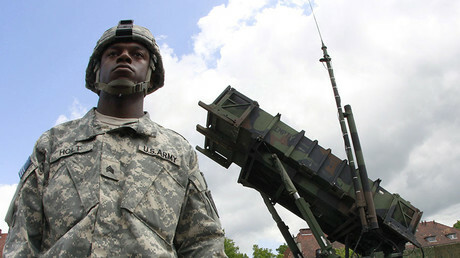 Poznikhir rejected the US’ contention that the ABM shield is incapable of intercepting all of Russia’s ICBMs if Moscow fires them en masse, and thus does not undermine its security, noting that the system can already intercept some missiles and would only become more capable in the future. The US’ continuing development of the ABM shield “narrows down the opportunity for nuclear reduction dialogue,” the Russian official argued. US trying to push Russia & China to Nuclear WW3 2017.